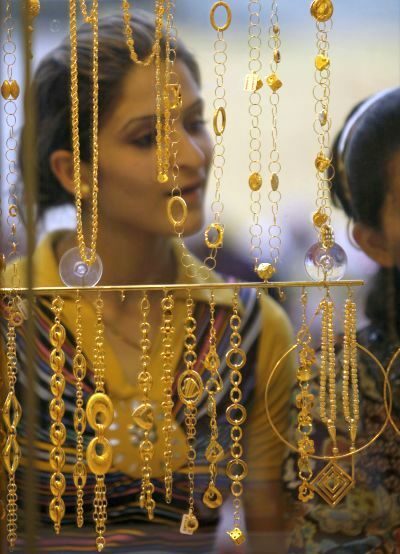 Gold imports fell by 43 per cent to 351 tonnes in the first six months of this year as a hike in import duty curbed inbound shipments, according to the World Gold Council (WGC). The overall import in 2014 is likely to be lower than 825 tonnes recorded last year, after tightening of policy to curb gold shipments and control current account deficit (CAD), WGC India Managing Director Somasundaram PR told PTI. "The government wants to take steps in a measured way. It doesn't want to take decisions in a flip-flop way -- that is reducing duty now and then increasing later when things go out of control. As the duty is not going away, the imports is likely to be less than last year," he said. India had imported 825 tonnes of gold last year, of which 620 tonnes were in the first half of 2013 when there were less government restrictions, according to WGC Q2 Demand Trends report said. On gold demand outlook for 2014, Somasundaram said: "We expect the annual demand to be 850-950 tonnes, against the previous estimate of 900-1,000 tonne with over 200 tonne flowing through the grey market". In August 2013, import duties on gold, silver and platinum were hiked to 10 per cent in order to curb the surging imports and also to check CAD. The 80:20 scheme was also introduced under which agencies are allowed to import gold on the condition that 20 per cent of the inward shipment will be exported. The progress of the monsoon, which is currently below average levels, will be an important factor in determining whether investment demand recovers to longer-term average levels towards the end of the year, the report said. Demand in India unsurprisingly fell short of Q2 2013's surge, but remains robust in a historical context, exceeding its five-year quarterly average, the report said. Relatively, stable prices helped consumer sentiment and Akshaya Tritiya related buying was healthy, particularly in the south, and wedding-related purchases were steady, especially among high-end retailers.